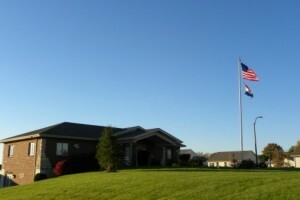 Located in the eastern section of Lincoln County, bordering the Mississippi River, the City Of Winfield is approximately 15 minutes north on Hwy 79 between O’Fallon and Clarksville and east of Troy on Hwy 47. Winfield offers a small town atmosphere with suburban convenience. With just a short scenic drive north on Hwy 79, the City of Winfield offers an historic Main Street with unique shops and family owned restaurants, a fairground with pavilion, ballpark, fast food, convenience stores, and much more. Whether you’re a tourist passing through to utilize the Winfield Ferry, here to walk the beautiful bottomlands in search of Indian Arrowheads, enjoying the Eagles along the riverbanks, or planning to relocate, the City of Winfield welcomes you.